The article on this page about correspondence chess in Canada was provided by: Leonard Zehr with research from J. Ken MacDonald, David MacLeod, Ken Kowal, Ralph P. Marconi, Michael Sharpe, Carlo Alberto Pagni (ITA) and Larry Fyffe, for Canada's contribution to ICCF's, ICCF Gold: 50th Jubilee Celebration (pub. 2002), book. The following are some important and interesting chess links. Just click on the icon logos. Michael Egan has earned an ICCF CCE norm for his performance in WZ Promotion - Master Class/2. Congratulations, Michael! Major Changes Made to the CCCA Tournament Calendar And Rating System! The CCCA Executive has decided to make major changes to the CCCA Tournament Calendar plus our rating system. CCCA Tournament Director, Joe Deidun, Jr. explains.
" For several years now there have only been two domestic events held each year. The other events simply do not have the interest they once held with our members. Therefore, we have made some changes to the Tournament Calendar and Rating System. The K and L events will continue to be held annually, as outlined below. The CCCA ratings have been eliminated and the ICCF ratings will now be the rating published here (in the TDCorner section in "CHECK! ", ed) and on the website. The change will provide all of our members the opportunity to obtain an ICCF rating that is recognized internationally. Private Matches will still be available, but will be unrated. The K event will now be open to all CCCA members. If we receive more that 15 entries, preliminary rounds will be held before the final section starts. There will also be private/special tournaments when interest in such an event is suggested by a member(s). Please contact me with details of the event you would like to propose...."
Alex Barclay has earned an ICCF CCE norm for his performance in WZ Individual Championship Semifinals Group 6 Congratulations, Alex! Michel Boulanger has earned an ICCF CCE norm for his performance in WZ Individual Championship Semifinals Group 6 Congratulations, Michel! Peter Green has earned an ICCF CCE norm for his performance in WZ Individual Championship Semifinals Group 1 Congratulations, Peter! Michael Dufour has earned the ICCF CCM title for his performances in the North Atlantic Team Tournament VII, Board 5 and the Zoltan Sarosy Memorial. Congratulations Michael! The CCCA Titles & Candidate Master Points page updated. "Due to the lack of popularity and inability to start more than one section in 10 months, the World Zone (WZ) Director has cancelled the Class Championships. This was reported by him to the WZ Delegates. Eleven players have outstanding entries to these events, in the different sections. They will be contacted by the Head Tournament Director with two options, full refund or transfer to an equivalent event. To facilitate this process we will keep the entries tables online until all of them are processed. A new set of 10 different Norm Tournaments are now available to enter. There will be two types of tournaments, “A” and “B”, for each possible international title: GM Norm tournaments will be reserved to the highest rated players (ELO > 2454); a new type of tournament, SIM Norm, will be introduced for players rated from 2380 to 2454; Master Norm (MN) tournaments will be limited to players rated from 2300 to 2379* (plus the “medallists” of national championships); a new type of tournament, CCM Norm, will be introduced for players rated from 2200 to 2299; and a new type of tournament, CCE Norm, will be introduced for players rated from 2050 to 2199. Players are referred to the newly updated ICCF Rules, §1.2.5. for details about rating ranges differentiating "A" and "B" within each type of Norm Tournament. The new Norm Tournaments will officially start in January 2019. Players can now send their entries as the new 2019/1 rating list is now available. Players who have sent their entry to the “old” Norm Tournaments and have not been inserted in a section will be automatically redirected to the corresponding “new” tournament. on the ICCF Home Page to enter any ICCF event. Benoit St-Pierre has earned the CCCA Master Title for winning KE-73 the 2017 Canadian CC Championship, and thus becomes the current Canadian CC Champion. Congratulations, Benoit! My father was a chess player. He took an amateur level family passion for the game to a correspondence chess national Championship title (1968), three ICCF Coppa Latina Europe titles (1st, 2nd and 3rd editions) with team Romania (was team captain during the 3rd edition), a 3rd place with team Romania in the OTB 3rd Blind Chess Olympiad Weymouth 1968, a tournament where he finished 1st on board 1, plus an IM-ICCF title (1972). There are many more milestones of various importance I am overlooking now; apologies dad! He was a big supporter of ICCF, promoting it both locally, nationally and internationally. He cherished his friendship with Paul Diaconescu and they exchanged over the years many ideas and initiatives. He played exclusively by post and made many a friend around the World. A number of them felt closer and they exchanged several letters and postcards during and after their games. You know who you are and I would not want to miss any of you by listing names. I thank you for your friendship in his name! He had a few regrets such as not being selected to play in the ICCF Olympiad Final 11th edition, his highly controversial participation in the Markov Memorial 1987-1992 (Russia) and his participation in one of the 1st World Cups (preliminaries) by post. In the end he made peace with it and hopefully those involved made peace with it too. His chess legacy will remain forever. We miss him already. Michael Dufour has earned the ICCF CCE title for his performances in the North Atlantic Team Tournament VII, Board 5 and the Zoltan Sarosy Memorial. Congratulations Michael! and in the WCCC41PR02 Congratulations, Pierre! Ian MacTilstra has earned the ICCF CCM title for his performances in the 2nd Interzonal Individual Tournament Prelim B, 11. Panamerican Team Championship Board 3 and WS/MN/152Congratulations, Ian! Benoit St-Pierre has earned the ICCF CCM title for his performances in the 7th Pacific Area Team Tournament - Board 3 and 6th NAPZ Championship. Congratulations Benoit! This event has been started on the ICCF webserver. The officially start date is 15 May. There are 30 prelims groups of 11-players each. The first place finisher and runner-ups in each group will advance to the Semi-finals.  The following CCCA members are representing Canada. We wish them good luck and enjoyable games. Pierre Jean has earned an ICCF CCM title norm for his performances in Veterans World Cup 8 Semi-Final 03. Congratulations, Pierre! Follow Reti's Advice: When trying to win, destroy opponent's strengths; when trying to equalize, go for his weaknesses. It doesn't always help, but is worth bearing in mind. Click on Chess Book List for chess books for sale. for more information and how to order book.